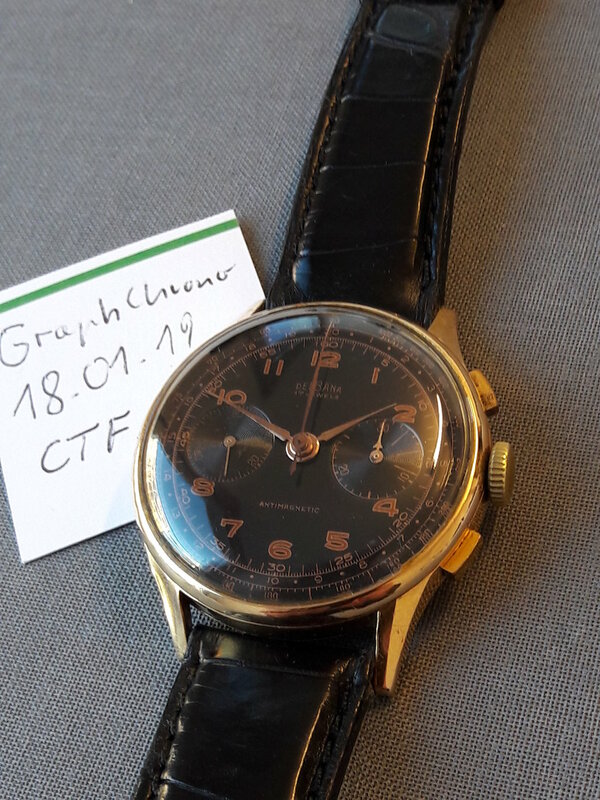 over all condition is good, very clean dial, the movement is running very reliable, but the chrono-functions have to be fixed (chrono hand stops, but reset to zero is working correct). Case (gold 18 K, 0,750): ca. 37 mm without crown. The case has some small dents. Head only. The watch is located in Germany/EU.